2 We support wholesale.So if you interested in some product .You can live message to us . We will give you the list price as soon as possible. 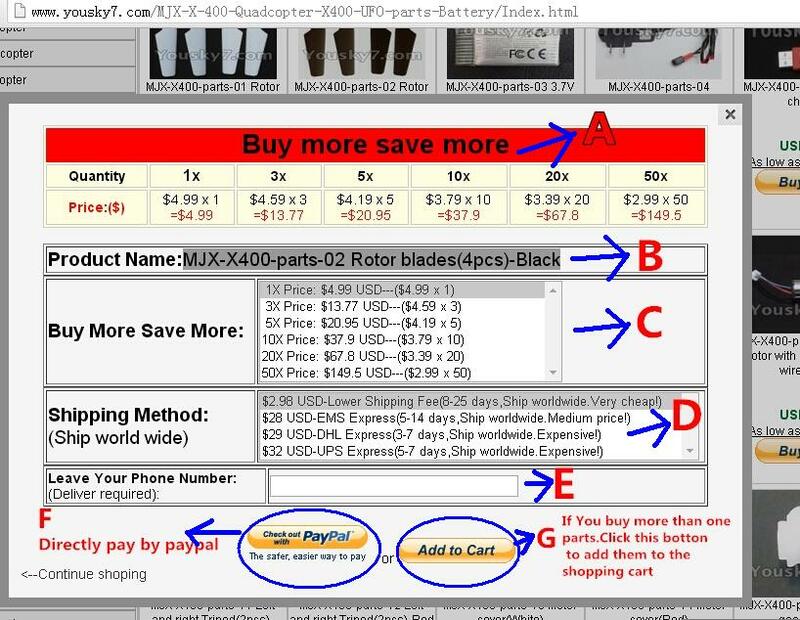 3 how to pay our product? A) How to pay by the paypal? B) How to pay by the credit card? D) How to input your address or change your address? E) Can use other pay method? 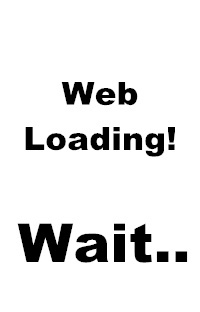 F) How to view your express parcel is sent? G) How to wholesale ? A)How to pay by the paypal? (a)We pay through paypal！(Payment is such a simple, secure payment through paypal,credit cards. 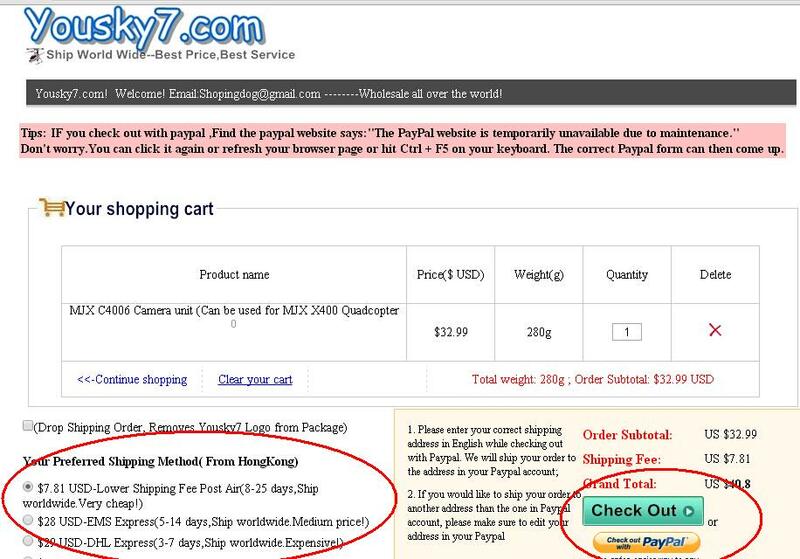 ).The paypal support credit card transactions and paypal account transactions. B)How to pay by the Credit card? PayPal is a service that enables you to pay, get paid, and send money. When you sign up for a PayPal account, you have the flexibility to add your debit, credit card, or bank account to your account or funds can be added from a MoneyPak. PayPal keeps your financial information securely encrypted and doesn't share it with sellers or merchants. PayPal will also store your billing and shipping information so you don't have to enter it every time - making checkout fast. To checkout with PayPal, look for the Checkout with PayPal button on the merchant's website, log in to your PayPal account, and select how you want to pay. Why create an account now? When you fill out the payment and password information on this page, PayPal automatically stores your name, billing address, and payment information in your PayPal account so you don't have to re-enter it again. When you click the Agree and Create Account button, your account is automatically created so you can start using it quickly. When you pay with PayPal, you can also get Purchase Protection for all eligible transactions at no additional cost. Learn more about the benefits of PayPal and all the ways you can use your PayPal account by visiting www.paypal.com. D)How to input your adress? or change your address? Fist ,you must have a paypal account . 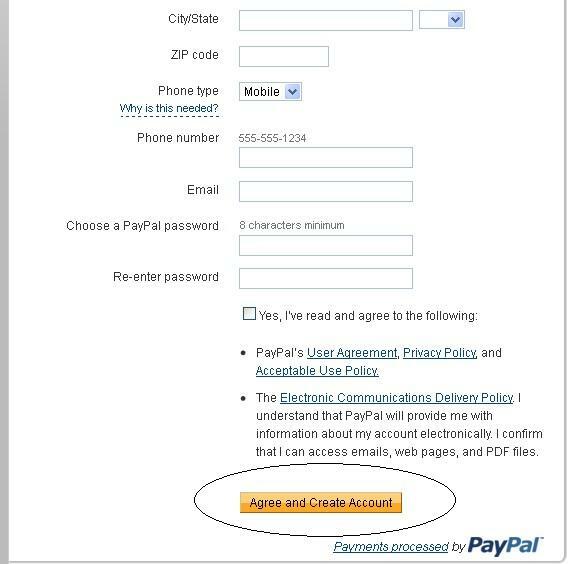 (see the example how to creat a paypal account),When you registere the paypal account,you can fill in your adress information. E)Can use other method to pay? We support paypal,credit card or western union. so if you don't have paypal or credit ,you can use the western union,the western union address you can send email to us . (list what you want and your address) .we wil give you the total price and the western union address for you .After you have sent the money by western union .We will sent the goods as soon as possible. F)How to view your express parcel is sent or how to find the shipping number? IF you pay by the paypal or credit .you can go into the paypal website(www.paypal.com) to view whether we have sent the goods. If we sent the goods.we will add the shipping number on your order in the paypal site. 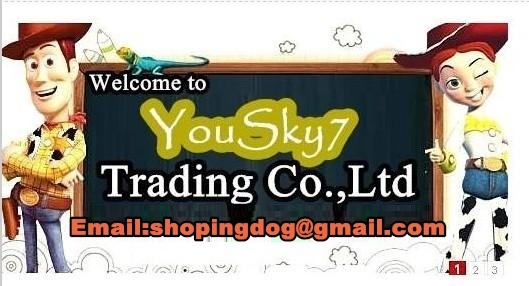 also ,you can email to us to find your shipping number,,EMAIL:shopingdog@gmail.com,,we will reply as soon as possible. If you buy large quatity goods. you can list what you want, the quantity ,your address to us .we will give you the wholesale price according to your quantity. Step 1: Click the "Buy Now" button- to make a purchase. Step 2: If buy only one product,Click the Button "Check Out" to the next step,If you buy more than one product,Click the Button "Add to Cart" to the next step. Figure 2 A: Quantity Price List,Buy more,save more.. Figure 2 B: Product name.. Figure 2 C: Quantity,you can chooese 1X,3X,5X,10X,30X,50X, The more quantitys you buy,the more money you save. Figure 2 D: shipping method and shipping.We have China post air,Hokong post air,DHL,EMS. Figure 2 E: Especially for the DHL and EMS,this deliver required the call or tell .You must add your phone number on it. 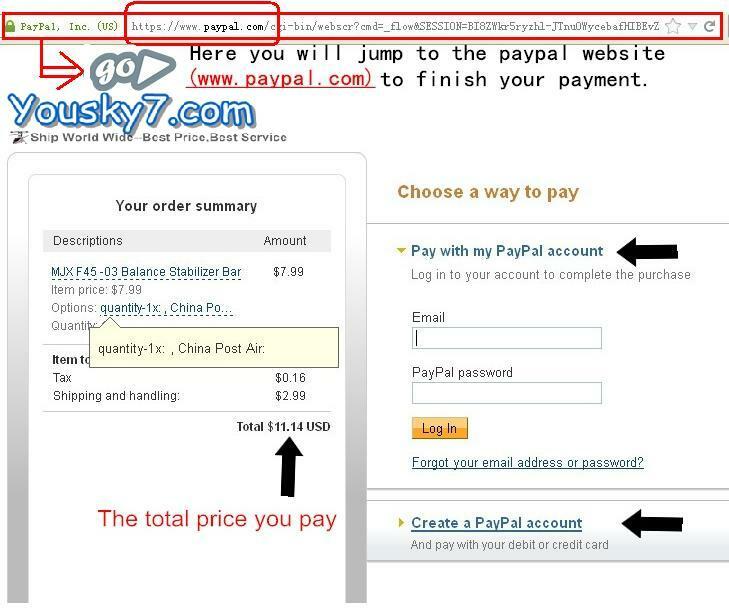 Step 3: if you through then ,you will jump to the paypal website,www.paypal.com to finished you payment. 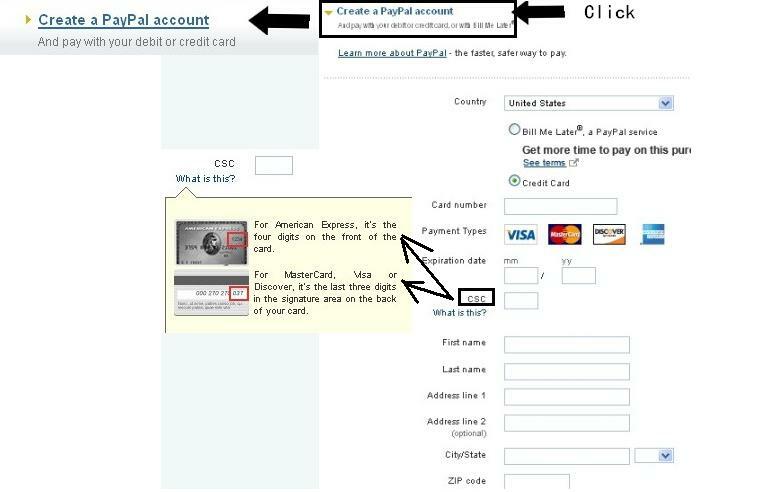 B)if you don't have paypal ,you can click the "Create a Paypal account" like below. C)After you have add the information and confirm it is right ,Then ,You can click the button"Agree and Create Account ". Then ,you can use you paypal account to pay by credit card . A)Here,if you have paypal account,You can click the button to pay your payment.If you have no account ,you can click the button ,then you will go to the picure of the step3 again.like the picture below.Then you can see the setp3 to help you how to pay. 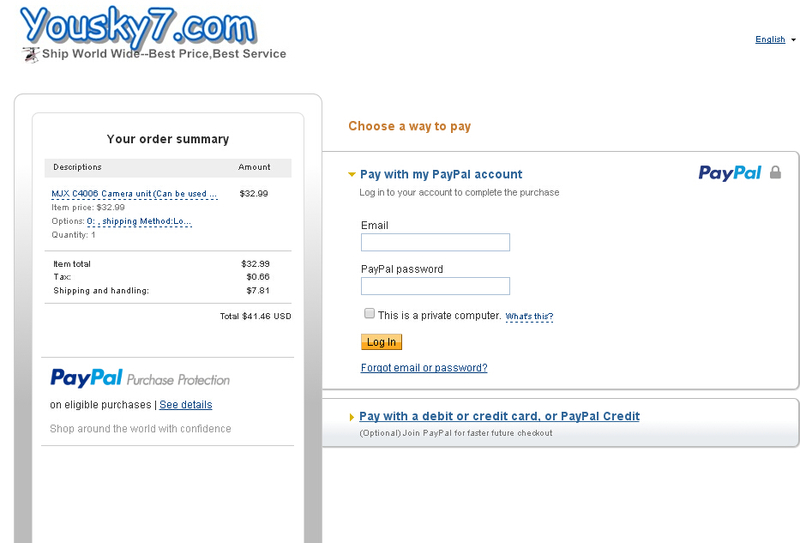 Step 5: Fill in your paypal accont to pay the product. I can not see the payment page.Why? If no payment information page, the reason is because the browser prohibit the use of JS, can be set in the browser.Recommends using Firefox, then select the "TOOLS", select "Options".